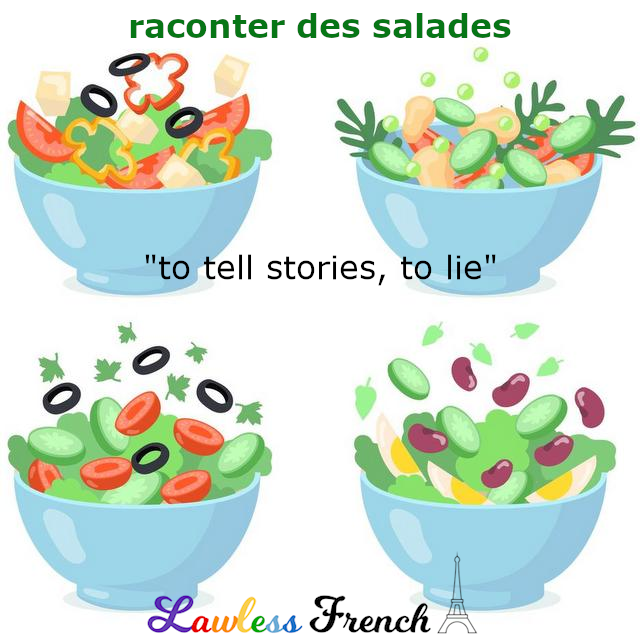 Usage notes: The French expression raconter des salades is equivalent to "spinning yarns"; in other words, telling elaborate lies. Why salad? 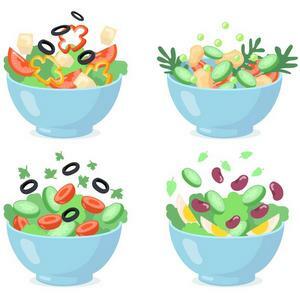 Maybe because it’s a variety of colorful ingredients that, together, make a delicious – or in this case, easy to swallow – whole. Ne l’écoute pas, il raconte des salades. Don’t listen to him, he’s spinning yarns. C’est impossible, je pense que tu racontes des salades. That’s impossible, I think you’re lying.